The BMW Performance Center to contest the 2015 One Lap Of America with new BMW X6 M.
The BMW Performance Center, with partners BMW Manufacturing, BMW Performance Parts and IHG Rewards Club today announced that it will compete in the 2015 One Lap of America with the all-new 567 horsepower 2015 X6 M starting May 2, 2015. 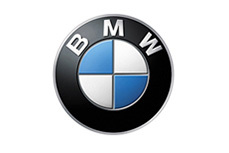 BMW X5 M AND BMW X6 M WILL MAKE THEIR WORLD PREMIERES AND THE BMW 2 SERIES CONVERTIBLE AND BMW X6 SPORTS ACTIVITY COUPE WILL MAKE THEIR NORTH AMERICAN AUTO SHOW DEBUTS AT THE 2014 LOS ANGELES AUTO SHOW. The new BMW X5 M and BMW X6 M will make their world debuts and the BMW 2 Series Convertible and BMW X6 Sports Activity Coupe will make their North American auto show debuts at the 2014 Los Angeles Auto Show on Wednesday, November 19th at the BMW Stand from 1:10 p.m. – 1:35 p.m. PST at the Los Angeles Convention Center (1201 South Figueroa Street). The new BMW X5 M and new BMW X6 M see BMW M GmbH setting the pace once again in the high-performance Sports Activity Vehicle (SAV) and Sports Activity Coupe (SAC) segment. Finding new ways to expand the boundaries of what is possible with existing BMW models has always been the singular purpose of the craftsmen at BMW M.
The legacy of BMW M GmbH began in 1985 when engineers placed the snarling, race-bred inline-6 engine from the M1 supercar into the production BMW 5 Series sedan, reworked the suspension and brakes, and created the first M5. BMW M Presents Two Ultra-High Performance Sports Activity Models: The BMW X5 M and X6 M.